Some people go to great lengths to make a Beetle look ugly. 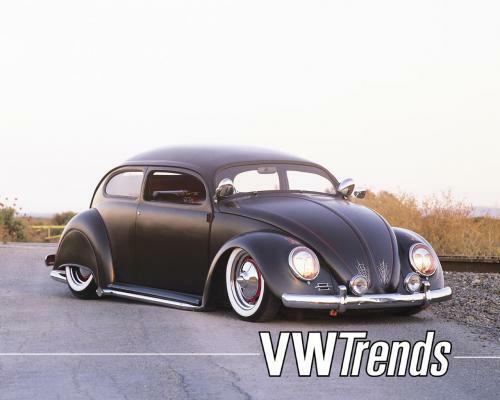 is this only the front end of the VW, it looks as though they have a ford roadster back end on it. It doesn’t matter whats on the outside, its whats under the hood. or in the case of a bug, the trunk? How would you go over speed bumps? Or, you wouldn’t, because generally people who put alot of effort into making cars looks fast just leave them in the garage and never, EVER drive them. Because they could get damaged. Or dirty. Or a leaf could hit it. Or it could rain, and the paintjob would get wet. And that would be disastrous.